At Lice Clinics of America OC we understand Orange County parents’ hesitation to use prescription or OTC lice removal products that contain pesticides or harsh chemicals. Many of the products that were effective 20 years ago no longer produce the desired outcome, because the strains of head lice today have become resistant or immune to active ingredients. 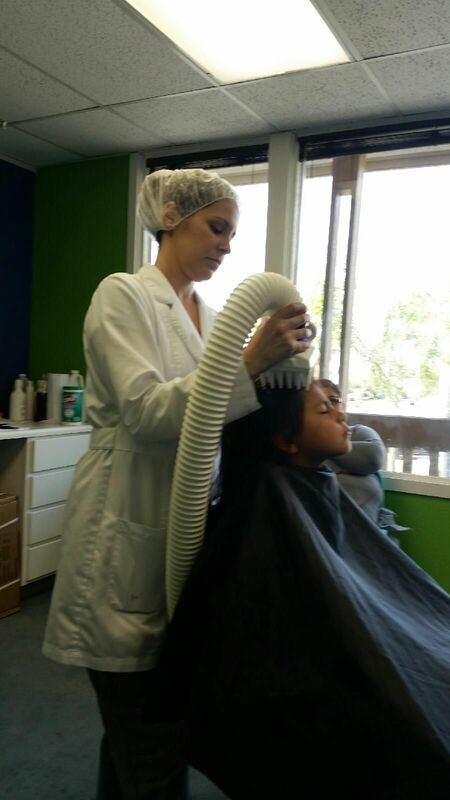 Today there are safe, non-chemical head lice solutions for those in Orange County including the FDA approved AirAllé treatment that uses heated, directed air to effectively dry out and kill those pesky bugs and their nits. Our lice clinics offer the highest level of head lice services. Our safe head lice solutions are geared toward anyone with an infestation, regardless of budget. In addition to the AirAllé treatment, we also provide head checks and will explain the life cycle of lice. “Kick off” treatment using the AirAllé system in which you finish up the process yourself at home, and a do-it-yourself option using non-toxic, safe products along with a comb-out process that is less costly for those concerned about cost. The fact is head lice aren’t choosy when it comes to victims. Children and teens are prone to infestations of these nasty bugs because of the crowded environments they spend time in such as school, summer camps, sports activities and more. OC kids love to take “selfies” for posting on Facebook or other social media platforms, which often include a friend or two. Even the lightest touch of heads in these photos can result in the spread of lice. Whether you are interested in our FDA approved AirAllé treatment to resolve the issue or would rather do it yourself, our Lice Clinics of America Orange County lice specialists provide effective, trusted options for every need and budget. Give us a call today at 949-521-8414 for more information and answers to your questions. Lice Treatment Clinics in Orange County. Contact us today for additional information!